The latest development in this collection by Harry Winston, Histoire de Tourbillon 4 is a masterwork of precision contained in a dramatic but refined design. 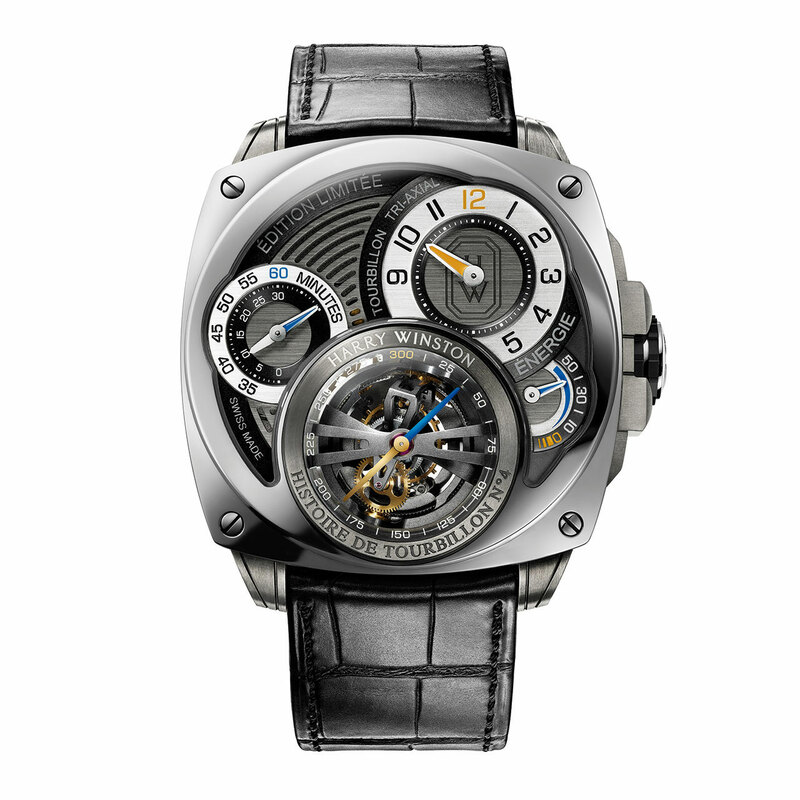 Its heart is a tourbillon inside three concentric cages, each rotating at a different speed and at a different angle. 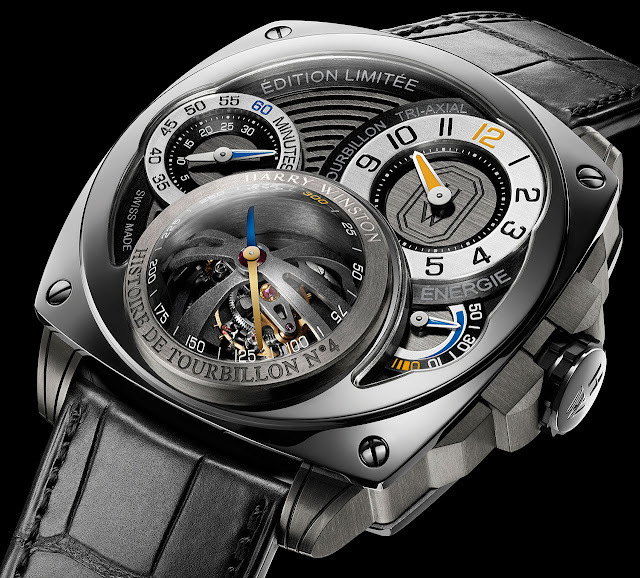 Histoire de Tourbillon 4 has two, fast rotating barrels to deliver superior energy with lower friction. The variable inertia balance is controlled by 18k gold timing screws in the rim. Bold, contemporary colours and an "open grid" dial configuration accentuate the movement, as do the domed sapphire crystals which are arranged on multiple levels. 20-piece limited series. Mechanical hand-wound, HW4501 calibre, tri-axial tourbillon, 345 parts, 59 jewels, 21,600 vib/h, 50-hour power reserve; Phillips terminal curve, Geneva-type balance-spring stud, hand-chamfered, micro-blasted main plate and bridges in titanium with PVD coating (except intermediate carriage bridge in polished gold).